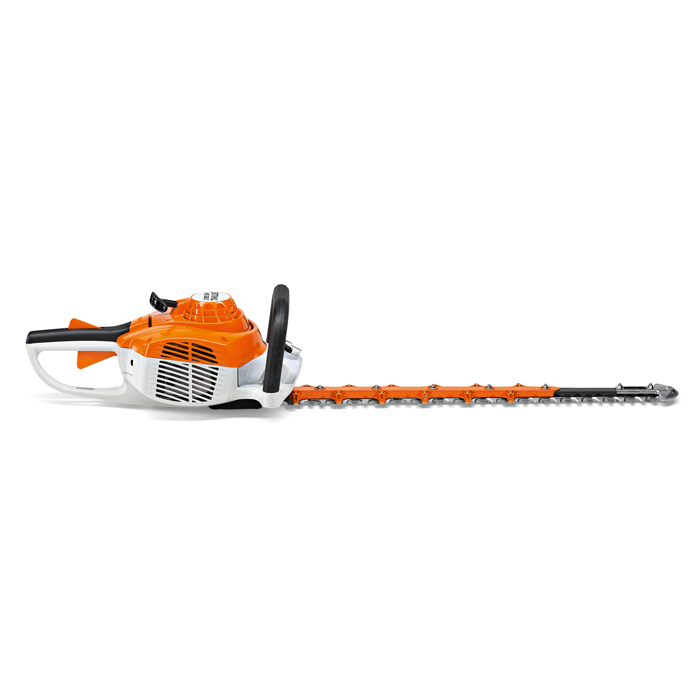 The STIHL HS 56 C-E 24" is a petrol hedge trimmer designed for semi-professional use. If you are looking for a robust, lightweight hedge trimmer that is easy to start and a dream to use then look no further. A number of standard features such as ErgoStart, anti-vibration system, double-sided cutter blades and the ergonomic loop make the HS 56 C-E the tool of choice for land owners and professional gardeners. A longer bar size than other models also make it popular.